I have an idea that would keep Social Security from becoming insolvent in 2036. That’s when the Social Security trustees estimate Baby Boomers will tap the fund so heavily, that without fixes, Social Security will cover only about 75 percent of the benefits it’s supposed to pay retirees. 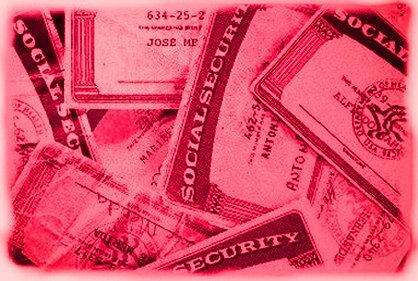 What is Social Security? 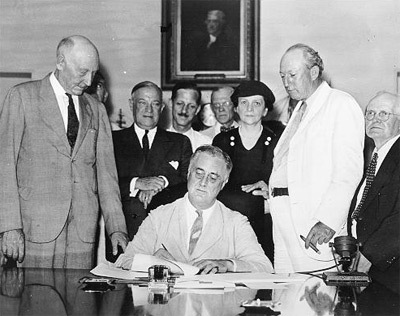 It’s the federal retirement program Americans have relied on since the Great Depression some 76 years ago. My solution to mend Social Security and keep it viable for future generations of Americans? Remove the Social Security payroll tax earnings cap and impose a flat Social Security payroll tax on all Americans. This year, the Social Security earnings cap is set at $106,800. U.S. taxpayers who earn more than that pay no Social Security payroll tax above $106,800. According to a 2010 U.S. Census Bureau report, roughly 13% of Americans earn more than $115,997 annually. They pay no Social Security taxes past $106,800 of their annual income. This means the more income wealthier Americans earn above the Social Security payroll cap, the lower their Social Security tax rate. Last year (2010), If I had an employer, we each paid a 6.2% payroll tax rate up to $106,800. If I was self-employed, I paid a 12.4% payroll tax rate up to $106,800. If I earned $213,600 my SS tax rate would have been 3.1% (employed) and 6.2% (self-employed). If I earned $427,200 my SS tax rate would have been 1.55% (employed) and 3.1% (self-employed). If I earned $854,400 my SS tax rate would have been .7525% (employed) and 1.55% (self-employed). This 2011 tax year the law reduced the employee’s share of the Social Security payroll tax by 2 percent. Employers still contribute the same tax rate as in 2011. If I had an employer, I pay a 4.2% payroll tax rate up to $106,800. If I’m self-employed, I pay a 10.4% payroll tax rate up to $106,800. If I earned $213,600 my SS tax rate would have been 2.1% (employed) and 5.2% (self-employed). If I earned $427,200 my SS tax rate would have been 1.05% (employed) and 2.6% (self-employed). If I earned $854,400 my SS tax rate would have been .5025% (employed) and 1.3% (self-employed). The concept of a flat rate Social Security payroll tax for all Americans hardly represents class warfare against wealthier Americans. When you consider that American taxpayers with lower incomes must spend disproportionately more of their annual income on basic living expenses (food, clothing, transportation, medical care, etc. ), a Social Security flat tax still gives the edge to Americans with greater incomes. My views are my own and not a reflection of my employer. I'm a professor of Journalism at the University of Nebraska-Lincoln. I've also been a working journalist for the past 29 years. I have covered news stories in war zones, reported on human and natural disasters, presidential conventions, a presidential inauguration and the September 11th, 2001 attack on the World Trade Center in New York City. My career experiences include work as an award-winning documentary producer, television news reporter, photographer, producer, and anchor. I worked at WIBW-TV, Topeka, KS., KCTV, Kansas City, MO, WKBD-TV, Detroit, MI., WILX-TV, Lansing, MI. and WBNS-TV, Columbus, OH. I have also worked as a contributing reporter for The Columbus Dispatch, Associated Press, CBS, CNN, the Ohio News Network and lecture at the Kosovo Institute of Journalism and Communications. I have a bachelor’s degree in journalism from the University of Kansas and a master’s degree in telecommunications management from Michigan State University. This entry was posted in Banking, Business, Economy, education, nebraska, The United States and tagged fixing the class gap in social security, how to fix social security, Social Security, social security class gap, social security going broke. Bookmark the permalink.